Caucasian boy and girl holding chickens and eggs. Caucasian farm boy and girl holding chickens and eggs in the backyard. little boy and girl standing on the background of chicken coop on the farm. 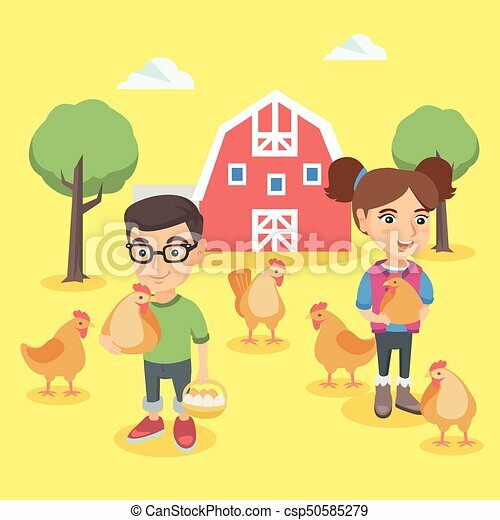 Caucasian Boy And Girl Holding Chickens And Eggs.